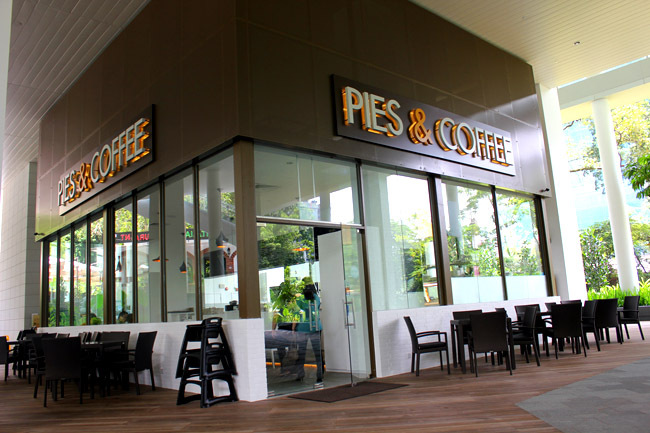 This café selling mainly gourmet pies is probably the first of its kind in Singapore, recently opened at the unexplored Rochester Mall. I was initially skeptical, but were excited when I heard its offerings – Wagyu beef cheek, duck confit, lamb shank and intriguing laksa shepherd pies. This stylish 80-seater café is relatively huge, spreading over 3000 square feet (and I was wondering, how to make money like that?). You can choose to enjoy relaxing alfresco dining outside where there is a water feature and lots of greenery. The laksa shepherd pie ($8.95) sounds like a risky experiment, but it manages to reach the right balance of being creamy-salty and laksa-spicy at the same time. 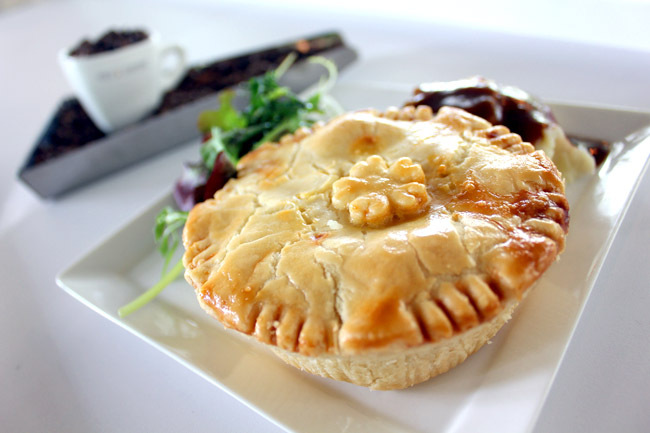 While most other pies have mushed–up fillings, you can still savour pieces of fish, prawns and squid for their version which gives a better bite.